Savvy hemp entrepreneurs can snag free government dollars that are virtually out of reach for marijuana businesses. And now that the 2018 Farm Bill has become law, an even bigger checkbook awaits in the form of Uncle Sam. “The big money is the USDA,” said Jonathan Miller, a lawyer for the U.S. Hemp Roundtable, a Kentucky-based hemp advocacy and lobbying group. But the opportunities available through the U.S. Department of Agriculture may take a while to sort out, so hemp businesses should keep tabs on the situation as it evolves. “We’re not going to know anything until the dust settles,” Miller said, referring to the newness of the federal hemp law and additional delays caused by the federal government shutdown. In the meantime, tap state and local economic-development experts for tips. 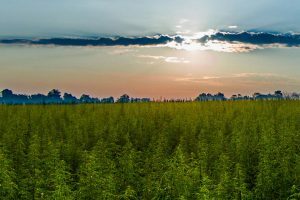 Steve Bevan, president of GenCanna Global – a Kentucky hemp producer and manufacturer – said local and state officials were eager to help when his company recently looked to expand its hemp-processing operations. When GenCanna settled on the city of Mayfield for a hemp-processing facility, Kentucky Gov. Matt Bevin announced the deal in a news release in December, and the state’s Economic Development Finance Authority gave preliminary approval for up to $1.8 million in tax incentives. The state touted that the $40 million investment would create 80 jobs. GenCanna’s Bevan said entrepreneurs must be patient, however, because many government agencies are working with the hemp industry for the first time. “Communicate with the local folks first, because they tend to have the best knowledge in the agricultural field,” he suggested. Kentucky, one of the country’s leading hemp producers, clearly is courting such businesses. But Samantha Walsh, a founding vice chair of the National Hemp Association and a veteran lobbyist, said most states don’t have specific hemp programs. As a result, hemp companies need to see how they can fit into existing economic-development programs. Colorado, for example, recently opened a $40,000 fund for farmers to hire interns. All farmers can apply, including those licensed to grow hemp. Walsh said hemp businesses should find out what grants are available for rural development, new processing, manufacturing and job creation in a state or local area, then work to fit those programs. “Every state has an economic development office, and they all want to see their communities prosper and thrive,” she said. Adin Alai was on a state of Colorado email list last year when he spotted a request for applications under Colorado’s Advanced Industries Accelerator grant program. The program is designed to bolster startups that use innovative technologies. But Alai pursued the endeavor, got letters of recommendation from sources – including industry players in the area – and spent months putting together an application package. Walsh, who now runs a public-affairs company, assisted Alai in making connections and getting support from the Pueblo City Council and Colorado state Sen. Leroy Garcia of Pueblo. “All (of the work preparing the application) helped prove to the (selection) committee that this was not a pipe dream but a viable business deal,” Alai said. In December, 9Fiber won a $250,000 grant, and Alai hopes to open a 2-ton processing plant in Pueblo by spring 2020 that would employ roughly 25 people by the third year of its operation. And, he added: “You need to present yourself as professionally as possible so you overcome that stigma and people take you seriously.” Wearing flannel, for example, might not cut it these days.